This topic could easily do with a whole blog unto itself! Oh my gosh, there are SO many issues. There's the perennial "stuff money DOES get spent on, but that nobody really uses." For low quads, this would be the tenodesis splints. Expensive, custom-fitted - the equivalent of getting long leg braces for paras. They have some utility and do improve fine motor capacity, but since you can't push the chair effectively with them on, and they're a pain to take on and off, guess what? They gather dust, and meanwhile people can't afford the practical stuff they really need. There's the "specialty product vs. normal consumer products" issue. One gets really stuck here, because as you say, the specialty products are so often clunky and look like they were hobbled together in somebody's garage (and often that's exactly how they originated) yet cost mind-boggling sums. But regular consumer goods fall just short of working... and good luck figuring out what will work based on product descriptions. For example, the use of the description "hands-free" to describe consumer products is widespread and, to any person who is functioning without the use of their hands, laughable. Hooray, bluetooth headsets are hands-free! (Except for that one little moment where you have to push that little button by your ear to, you know, answer the phone. Minor detail.) Touch screens are everywhere, and making life easier and smoother for millions of people with disabilities... if you can touch them. But if you need a special inductive mouthstick to make them work, and each of the three kinds available has a reason it doesn't work for you... oh well! It seems like every almost-perfect solution comes with that one fatal flaw. The user-friendliness and reliability of the products and applications that quads need to use are comically inferior to what is possible. I look at the "gaming" world, and the way incredibly complex software just works. And works well. All the time. Because there's money in it, and the consumers would not stand for a clunky, unreliable gaming experience. Meanwhile, if you're a quad and need to use voice recognition software to get your work done, have fun with that. It will keep "learning" to understand your speech better, until the day it becomes so clogged with data that you have to give up, re-install it, and start all over training it. And meanwhile, it will crash Skype. These kinds of crazy-making problems could have been fixed years and years ago if these products were held to the same standards as the incredibly sophisticated crap we produce just to allow teenaged boys to pretend to blow stuff up. Then there's the way that manufacturers of wheelchair and environmental control systems like to protect their competitive edge by making their stuff proprietary and incompatible, so that you can't actually combine the features you truly need from different systems. A quarter century ago (when, for me, being an academic assistant to a quad meant not word processing, but scribbling hilariously tangled explosions of circles and arrows rearranging chunks of text on reams of yellow legal pads), it was easier to accept that the clunky adaptations were as good as one could hope for. Today, seeing what's possible in the world of mainstream consumer goods, the world of adaptive solutions feels more and more third-world by comparison. It's little wonder that - as you allude to - people really do solve a surprising percentage of their functional issues with duct tape. Presented with a problem, and a choice between throwing money or adhesive at said problem for a comparable result, it's a pretty easy decision. Lynn, As always you provide great insight. The quad world and gear used is not solid ground for me. I am always struck at how screwed people with a cervical injury are. Being a quad is time consuming and the costs involved steep compared to my life as a paraplegic. In short I agree a whole blog on this subject alone could exist. On this front do you read Wheelie cAtholic? It is quite good. I had to laugh in recognition Re: Lynn sentence on duct tape! Many times,one or the other of the pins that hold my walker together have broken. When it breaks, it is usually a sudden thing, and I am fortunate if I don't lose my balance and fall to the floor. To hold me for the (few days to a week) between ordering a new one and receiving it, I have used duct tape, with great success. I had far rather do that, and wait for a new one for which I pay out of pocket, than have to go to the office of someone who in general, has very little experience of the needs of PWD, and explain why I need one... I am fortunate to be able to bear this cost , for the most part. But still, should what basically amounts to hollow aluminum tubing, some metal pins, and rubber feet cost $100 or more? I get your point but you really need to rethink a bit. Many of us did a lot of what you said about using duct tape and other stuff to "get by" in place of having something we need. I have done this on many projects. Problem is if you want a more permanent durable solution you have to design and make something. Many times they will look like they were made in someones garage. Why? likely because they were! It is how products come to be. Does all this stuff cost a lot? Generally in the garage stage no. But the folks buying it want better. So a machine shop or fab shop is either hired or created, adding cost. Cost in improvements and in having a process done so it looks more "professional". Early stages the product is only made for a few. and the inventor does it all and for almost no profit. Just glad to be helping folks out. But after years of doing this it is consuming all their time. If they are to continue they need to get something for their time. So the cost goes up. Then retailers want to sell the item. The only way most retailers will be able to offer the product is if they can mark it up 25% minimum. But they expect the product to be readily available. This means the maker has to invest in the materials to make inventory. Generally 1/2 to 3/4 the final retail on the product. This often is money that is borrowed. Adding cost. Then they have to sit on the inventory. A web site can add over $1000 a year, business licence, tax accounting, web & phone service all add cost. Pretty soon the clunky thing you were making in your garage is costing double or better. But it is serving a purpose in a very small market that the maker is luck if they can make a few hundred bucks a month out of something they have vested thousands of hours in and may continue to work for penny's on the dollar just because they like helping the community. 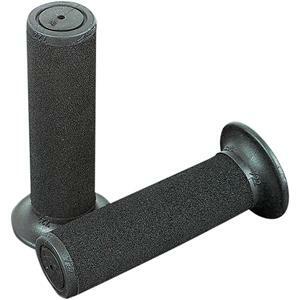 I'm the inventor of QuadGrips. I am a c6/7 complete. 0 hand function, half my triceps, 0 trunk. At my level I experience the time wasting effects that para's don't get but still fair way better on independence than lower function quads. My story is very similar to what I described above. I used to look at disability stuff and think how over priced it all is. But having the opportunity to see it from the other side I can tell you straight up it is not always or often that the products are making someone rich. Get on QuadGrips.com and google the address. That's my 970 sq ft 2 bedroom 1 bath house. I drive a 10 year old vehicle with only hand controls(no fancy lifts etc.) My wife's car is a 20 year old vehicle. The value between both won't buy 1 new car. But I'm ok with that. We aren't out to get rich. In fact since 2004 I we have both volunteered most of our free time for a local non-profit serving folks with disabilities and we do a lot of specialty adaptions for 0 profit. But to keep our business going we need some return on our efforts. We do have to eat and we all know what medical equipment, meds, insurance, co pay's, etc can cost. The one thing about QuadGrips I can say is they are very durable, work awesome for 95% of folks and we stand behind them 100% if anything ever were to go wrong. If you buy them and they don't work you can return them in the first 30 days if you buy them direct from us at QuadGrips.com My wife tells me I could actually go get a job and make more money. I just have the thought that it will pay off in the long haul and we are helping folks get out and ride.